Hello! This is Steven, the CIR from Seika. 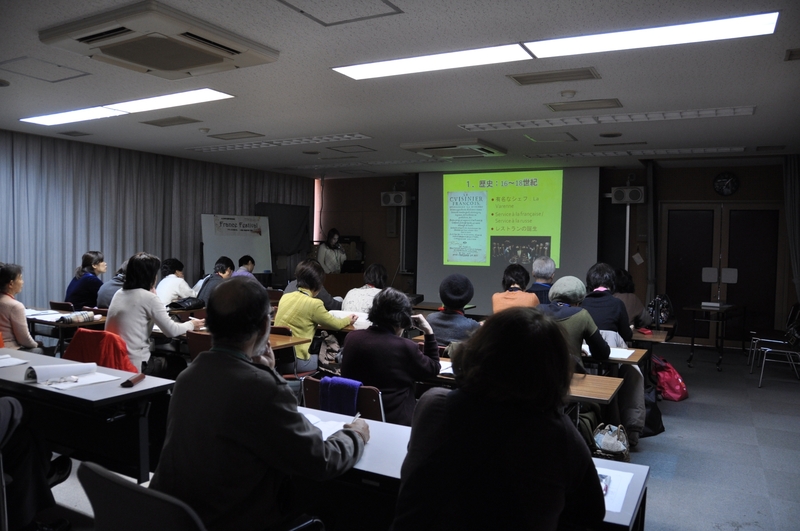 I’d like to tell everyone about the 9th Cross-Cultural Forum, held in Seika Hall in the Seika Town Office on Sunday, January 27th. 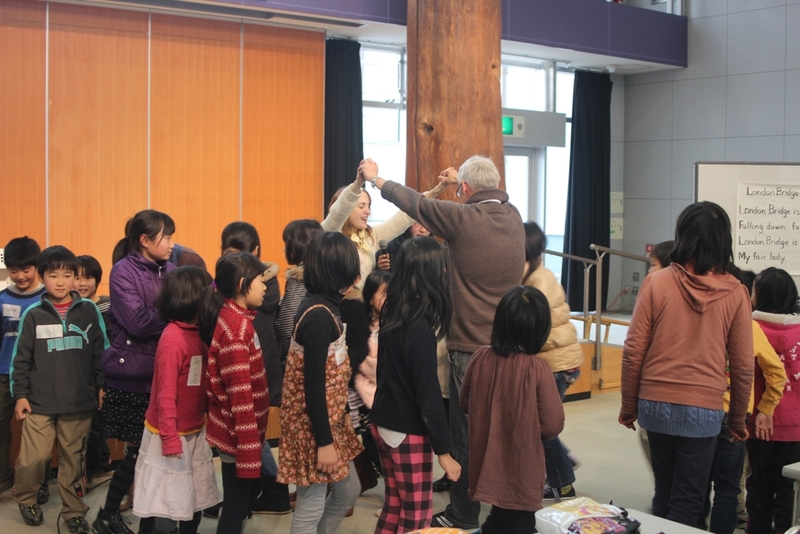 This year’s Cross-Cultural Forum was sponsored jointly by the Town of Seika, Seika Global Network, and the Cross-Cultural Project (XCP). 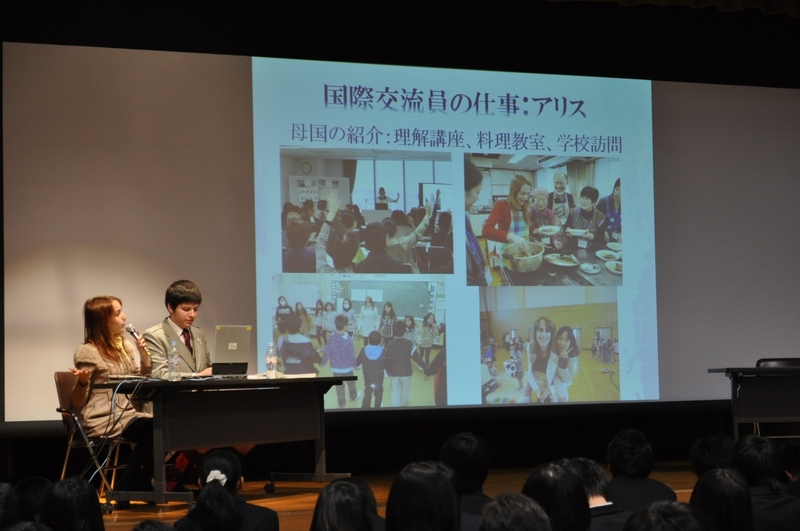 The theme was “Family Across Cultures and Generations.” The event featured three guest speakers, as well as a presentation by students from Seika Nishi Junior High School. 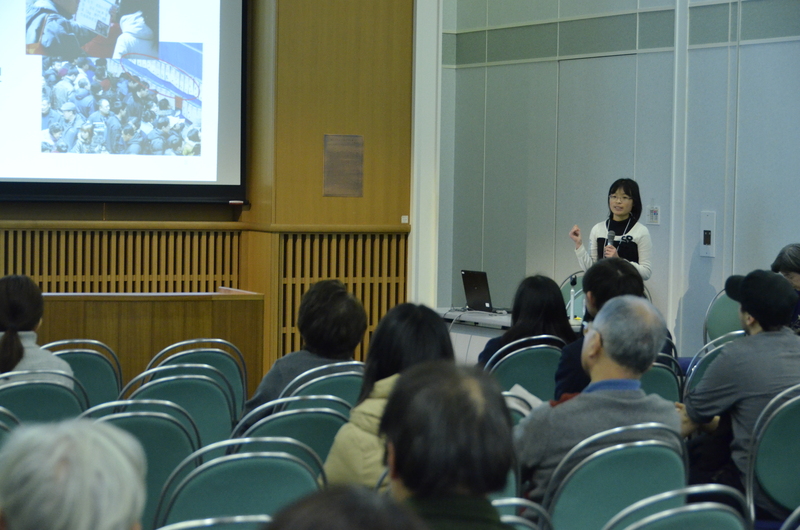 The first presentation was by Lis Weiji Kanashiro Pereira. Ms. Pereira, a Brazilian of Japanese descent, started off her presentation by giving a basic introduction of both Brazil as a country and the status of ethnic Japanese people in Brazil. She also talked about the structure of families in Brazil, such as the prevalence of elderly people living with their children rather than entering nursing homes. 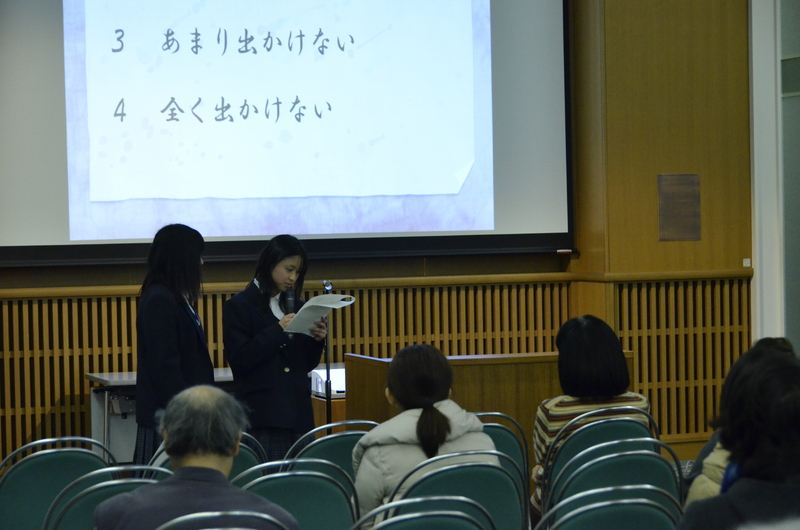 Next was the presentation by the International Exchange Club from Seika Nishi Junior High School. The students presented the results of a survey they had distributed to their school asking about family life. Some of the answers to the survey were quite illuminating. For instance, a majority of respondents identified their mother as the family member they talked to most often. To me, the fact that more students talked to their mothers more often than their siblings was surprising. 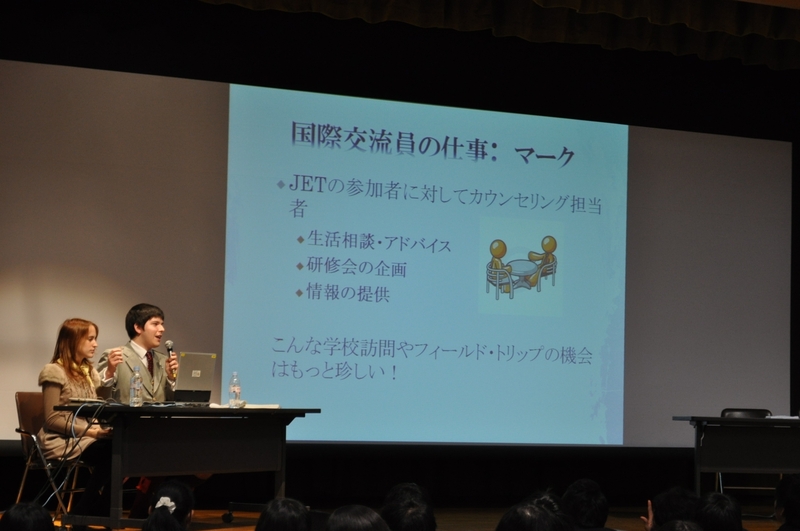 After the middle schoolers’ presentation came a talk by Yasuhiro Minami, a researcher at NTT Communications, about infants’ language acquisition. 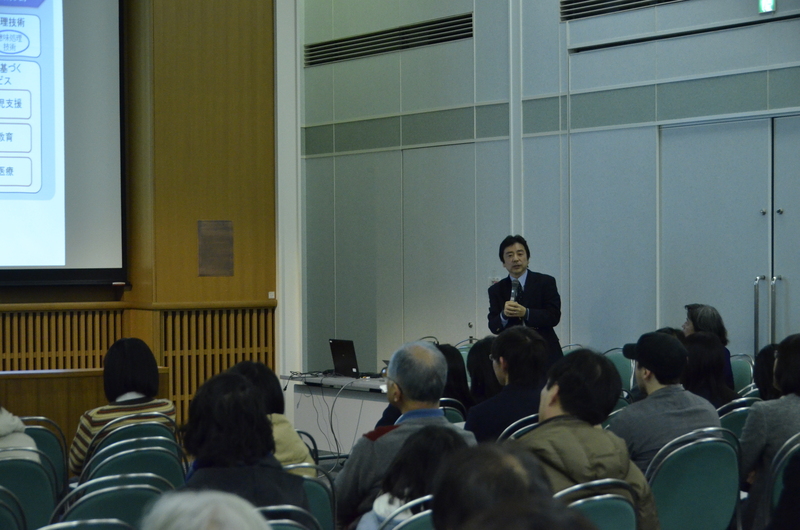 Mr. Minami’s presentation stood out for its hard scientific data and technical subject matter. 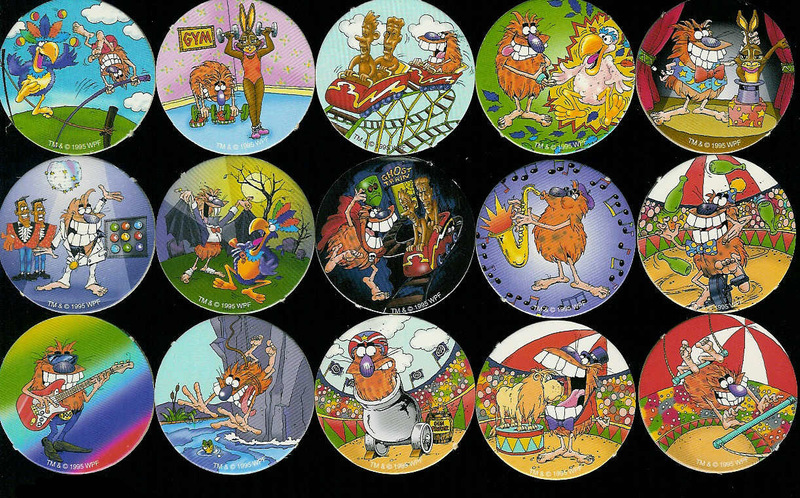 He mentioned, for instance, that children have a “vocabulary explosion” at some point where the number of words they know experiences a sudden, dramatic increase. As someone who interacts with small children a lot, I found Mr. Minami’s talk to be quite interesting. 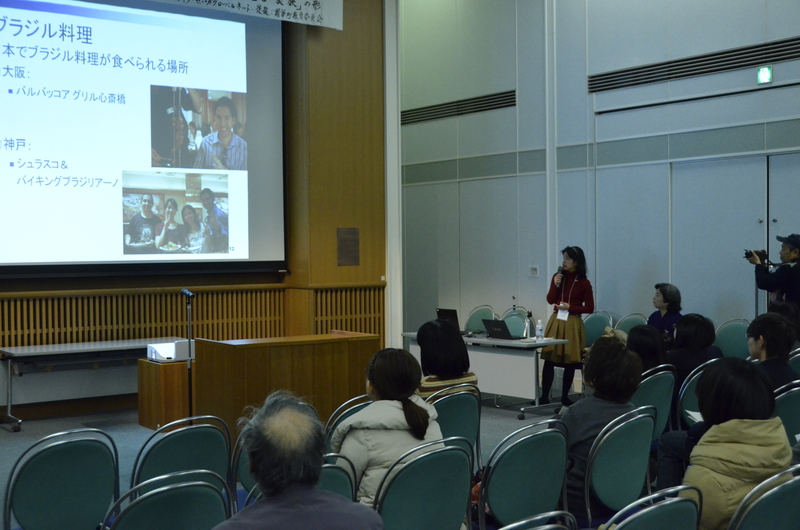 The final talk came from Yingying Sun. Ms. Sun discussed the status of marriage in her home country of China. My impression from her presentation was that, unlike the West and its premium on finding “true love,” China emphasizes financial stability in its marriages. One commonality according to Ms. Sun’s speech, however, was the interaction between the wife and the mother-in-law. 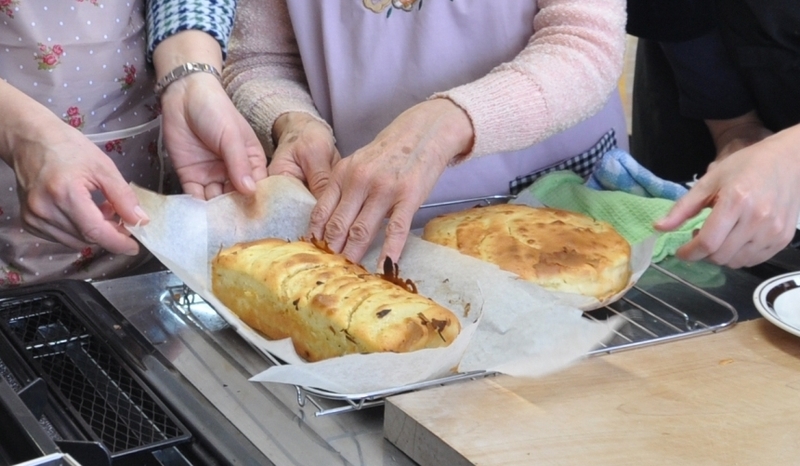 In the West, women are often thought to dislike their mothers-in-law; it seems as though this relationship is often a fraught one in China as well. The Cross-Cultural Forum provided a great opportunity to hear talks about different subjects by people from a variety of different backgrounds. If you get the chance to come in the future, make sure to check it out! New Year in China starts in February (January in the old calendar) this year. Therefore, as I am Chinese, the Japanese New Year didn’t feel like the start of a new year for me. However, thanks to my friends’ invitation, I spent a wonderful New Year in Japan. 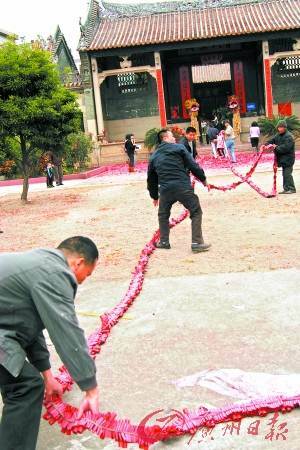 In China, we have similar New Year’s preparations such as major house cleanups and end of the year markets, but instead of Joya no Kane (ringing the temple’s bell at midnight), we light firecrackers to ward off illness. On New Year’s Eve, instead of eating New Year’s Eve soba (toshi koshi soba), the whole family gather to eat dumplings. Indeed, it is said that the quantity of ingredients into dumplings increases one’s wealth. Furthermore, instead of pine tree decorations (kadomatsu) and rice cakes (kagami mochi), in our homes we hang up red papers with auspicious characters written on them and one with the character for “happiness” written in big as good luck tokens. I often feel that Japanese and Chinese New Year celebrations are similar while being different at the same time. 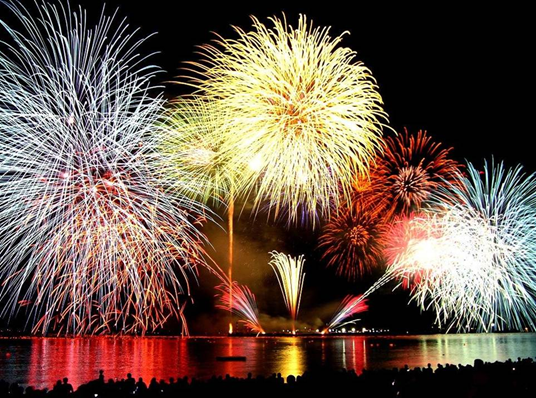 From January 2nd to 8th in the old calendar, the “Dalian Firecracker Spring Festival” is held in Dalian city. 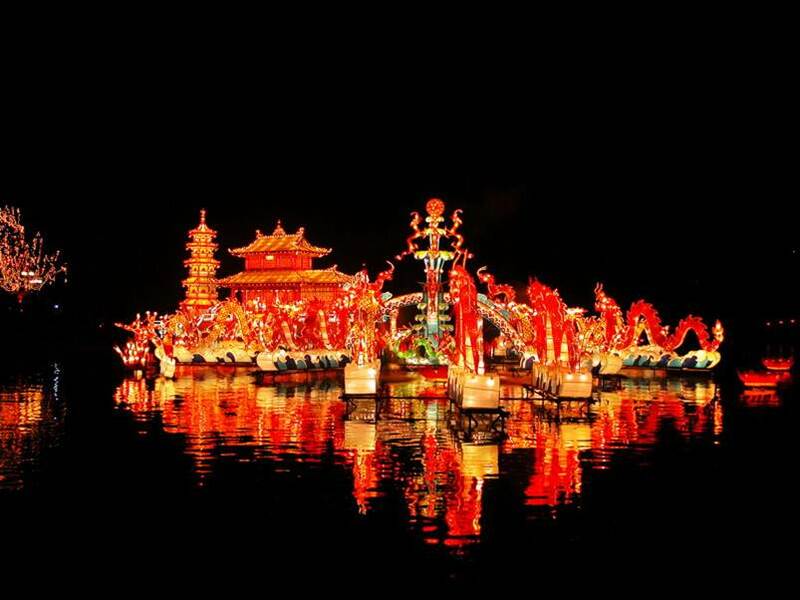 During this time, the city is bursting with festivities, with the sound of drums echoing in the sky, with rice planting dances originating from the North East area, with dragon and lion dances and fireworks. If you have the opportunity, I sincerely hope you will be able to experience Dalian’s New Year. Hi! It’s Alice, the CIR at Kyoto Prefectural International Center. 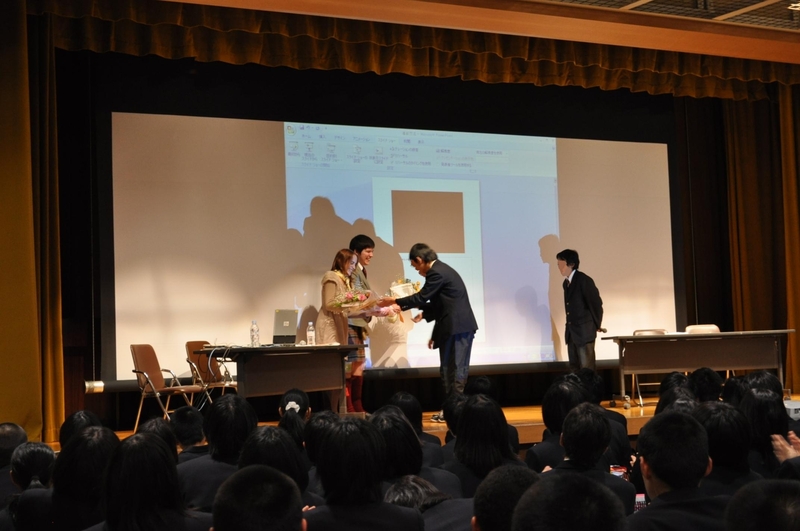 Today I would like to write about a school visit I did in Horikawa Senior High School last December. 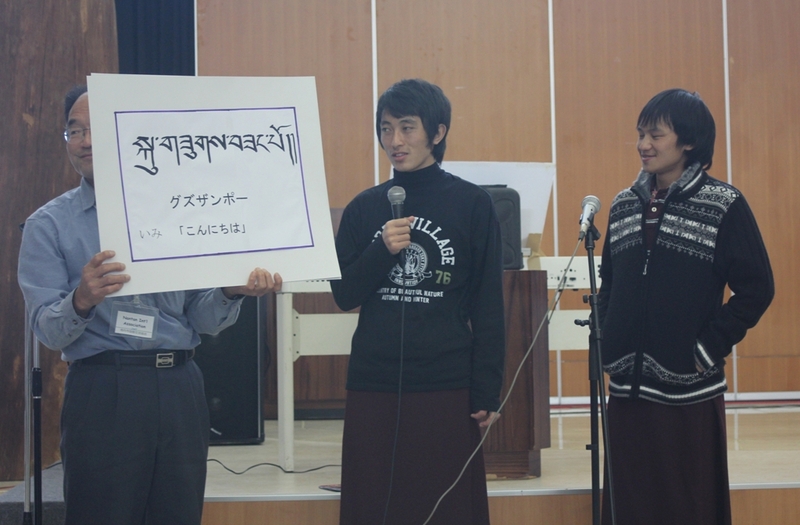 Horikawa Senior High School is really committed to raise awareness about other cultures and human right problems among their students. Indeed, all the first-year students have to study abroad for a few weeks in March and stay with a host family to increase their language skills and broaden their horizons. In order to prepare the students for this trip, I was asked to speak about my country and how French people view Japan and the Japanese. 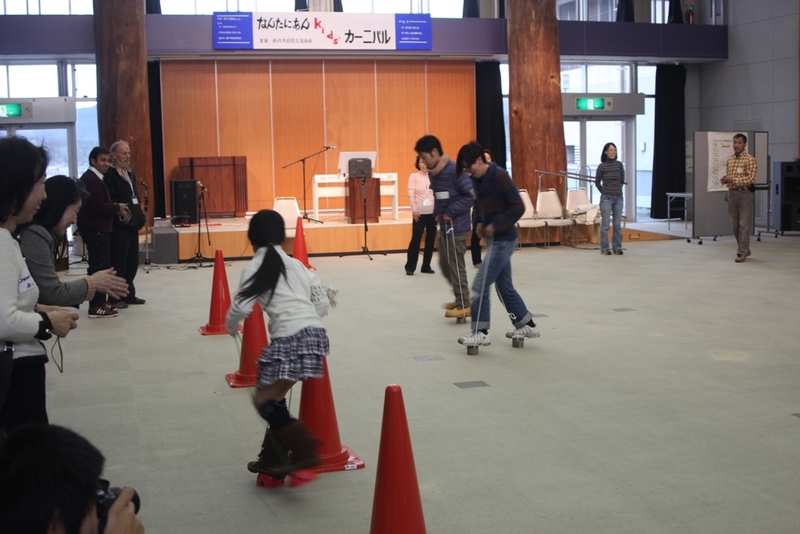 This visit was divided into 2 different kinds of events. First, I visited the school on December 14th with 3 other CIRs: Kyoto Prefectural Office’s CIR Mark from Scotland, Kameoka’s CIR Margaret from America and Kyotanabe’s CIR Polly from England. There were also 2 exchange students with us, Jorge from the Philippines and Windu from Indonesia. I thought it would be interesting to have speakers from as many countries as possible so that students understand that we are not the same “foreigners” but French, American, Indonesian etc, each with its own differences. Everybody was really eager to participate when I spoke with them about this event. First, the students split into groups and interviewed us individually about our countries, our lives, our interest in Japan and why we choose to come live here. They also wanted to check if the image they had of each country was correct or not and what we thought about it. For example, French people are usually thought as elegant and stylish… it might be true when seeing the Haute Couture shows but not on an everyday basis! Actually Japanese youth are more fashionable than French ones. Mark and I came back for the 2nd visit on December 21st, to speak in front of all the first-year students, which is to say almost 250 people! Students first presented their conclusions and feelings about what they had learned during the interviews the week before. I was really surprised to hear that Japanese summer feels hotter than the Philippines, or that Japanese people walk and live too fast for Indonesian people. Indeed, in France, we do not get to know a lot about South East Asia in our education and I learned a lot myself from these presentations. Then, it was time for Mark and I to climb on the stage under a warm of applause (which felt good but was kind of intimidating) to be interviewed again “live”. They asked us to speak about Christmas celebrations in France and Scotland, what were the famous places and food, what did we like about Kyoto etc. Then came the tricky questions such as “what makes you French / Scottish?” I would never have been able to answer should I have stayed in my country all my life, but living abroad really made me realize who I am, what it does mean to be French and rediscover my own culture and habits as well. In this way, I really hope you will get the chance to live one year or more in another country and culture, for it is a life-changing experience. Quickly speaking, French people like to take their time, enjoy their meals, put work and their private life (family and friends) on the same level of priority, complain a lot, go on strike and holidays and put all their heart in doing what they like. C’est la vie! Of course there is more much to that, but it would take more than a blog article to speak about it. 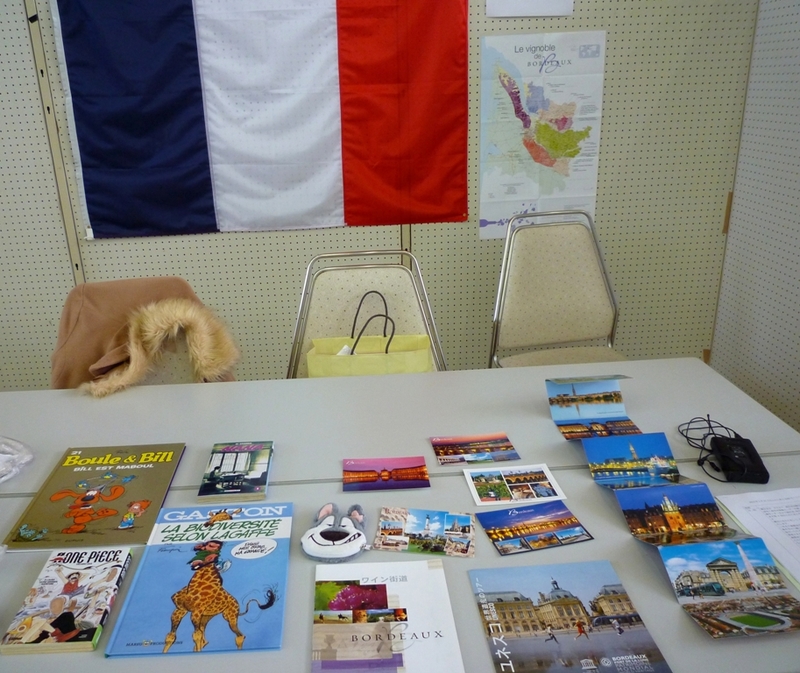 After the interviews, Mark and I gave a small presentation about our countries, how Scotland differs from the UK and how Bordeaux and the South of France are not like Paris. We then introduced our reasons for wanting to work as a CIR in Japan, mainly because we wanted to put into practice what we learned in college (languages, multicultural communication and marketing) and challenge ourselves. To end, we spoke about gender equality in Japan and how the gap is still wide, differences at the workplace and in working practices, and how foreigners are viewed in Japan. 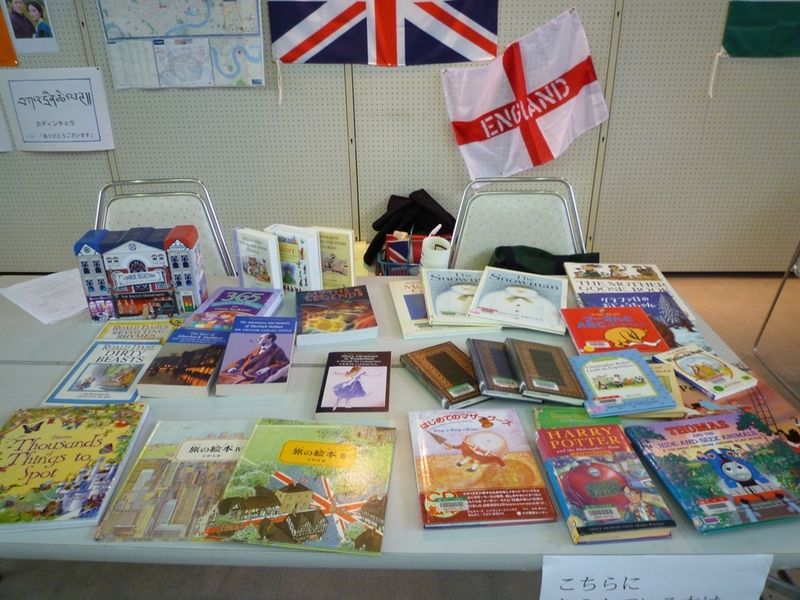 If Japanese are the best when it comes to help and welcome us, they should treat us less as guests and “foreigners” but more as “French” and “Scottish” and as citizens living in Japan just as they do. After the presentation, we had a smaller gathering with the students who wished to participate, and were able to talk more casually with them about life in Scotland and France, our feelings about living in Kyoto, and give them advice on how best to communicate with their host families during their oversea internship to come. Japanese people usually tend to think of themselves as really bad at English and prefer not to talk at all rather than try and make mistakes. However, even with the worst pronunciations and mistakes, people will really appreciate if you make the effort to speak their language especially in their own country, and will help you as best as they can to improve. The best way to learn is by making mistakes! It was my first visit to a Japanese high school, and I’m really glad I got this opportunity to exchange with the students, introduce new things about France and maybe change how they view foreign countries and cultures. I hope I will have more opportunities like this in the future! Receiving flowers was such a nice surprise! 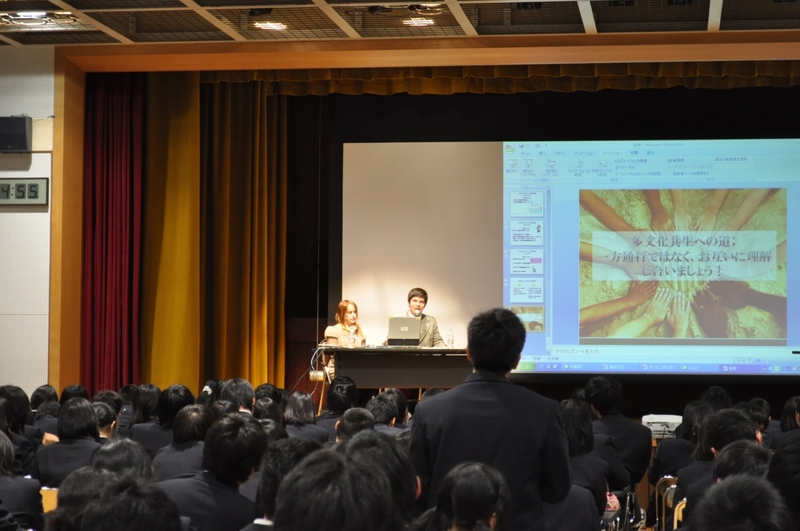 On the 21st December, myself and Alice gave a presentation to the students of Horikawa High School, on various topics such as internationalisation, social issues, and what it’s like living and working as a CIR in Japan. As it was my first school visit, I was quite nervous, but was glad that the students all seemed to learn something afterwards, especially about my home country. The planning that went into the whole day was very well organised by two of the students themselves, and our session the week before on the 14th allowed the students to interview some of the other participants, and prepare presentations on what they learnt, with some very interesting insight! All in all, a great opportunity to meet some excellent students, and let them know a little more about ourselves, our jobs, and our cultures, as well as show off my traditional Scottish kilt to the people of Kyoto!